When the online learning platform we had used for 5 years was discontinued, we needed to find another user-friendly platform we could transfer to with little downtime. 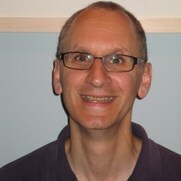 I chose Randy Fisher because of his previous work with online learning platforms. I worked together with Randy to iron out the usual bugs and glitches that happen anytime you implement a project like this and have to adapt software to meet your requirements. Randy quickly understood our needs and was responsive, cordial, and a pleasure to work with. If you have an online learning issue, or need help with other web-based business needs, give him a call! Randy's marketing advice was integral to refining my business strategy and to developing consistency in my messaging. His keen attention to detail across various digital platforms and thoughtful and caring manner, encouraged me to make improvements to help grow my business. As a management consultant (formerly with McKinsey), I created a diverse problem-solving and international community, Collaborating Minds​, I turned to Randy to help facilitate greater user participation and involvement. His timely insights and expertise really helped me understand how my team and I could increase learning, interaction and engagement. Randy is a great asset to anyone who wants to grow high performing communities and viable learning programs. As a clinical social worker with experience in mental health and trauma for adults and children, I launched a series of Compassion Fatigue seminars and workshops. I turned to Randy to help with learning design, presentation and design of handouts, resources and the CompassionWise website. It greatly reduced my stress, and I can use them for future for in-person and online learning and webinars. As a retail optical professional (pictured on right, Oliver Goldsmith on left), Randy helped grow my business visibility through smart digital marketing, blogging and an effective learning program. Now, I want to engage him to help with my golf training program!